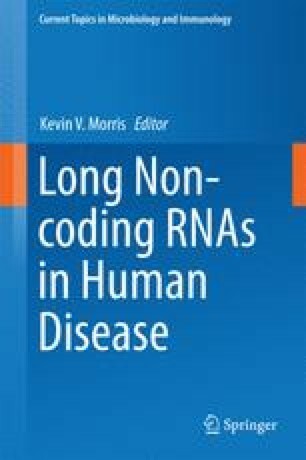 Increasing evidence shows that long non-coding RNAs (lncRNAs) are not “transcriptional noise” but function in a myriad of biological processes. As such, this rapidly growing class of RNAs is important in both development and disease. Vascular smooth muscle cells are integral cells of the blood vessel wall. They are responsible for relaxation and contraction of the blood vessel and respond to hemodynamic as well as environmental signals to regulate blood pressure. Pathophysiological changes to these cells such as hyperproliferation, hypertrophy, migration, and inflammation contribute to cardiovascular diseases (CVDs) such as restenosis, hypertension, and atherosclerosis. Understanding the molecular mechanisms involved in these pathophysiological changes to VSMCs is paramount to developing therapeutic treatments for various cardiovascular disorders. Recent studies have shown that lncRNAs are key players in the regulation of VSMC functions and phenotype and, perhaps also, in the development of VSMC-related diseases. This chapter describes our current understanding of the functions of lncRNAs in VSMCs. It highlights the emerging role of lncRNAs in VSMC proliferation and apoptosis, their role in contractile and migratory phenotype of VSMCs, and their potential role in VSMC disease states. Human coronary artery smooth muscle cells. We gratefully acknowledge funding from the National Institutes of Health, NHLBI and NIDDK (R01 HL106089 (RN), R01 DK 065073 (RN), T32DK007571 (to AL), and K01 DK104993 (AL)). The authors thank Dustin Schones for critically reading this manuscript.